Win one of three Liqui-Fruit hampers to the value of R500 each. The hamper includes a handy branded sports bag and delicious fruit juice. Liqui-Fruit, SA’s favourite 100% fruit juice and the official beverage sponsor of the Absa Cape Epic, will be giving top athletes, like well-known sports stars Joel Stransky and Anriëtte Schoeman (Team Liqui-Fruit) a nutritional boost during the 800km mountain bike challenge. The range offers feel-good refreshment with the benefits of pure fruit and is ideal for fruit juice lovers with an active lifestyle. Put Liqui-Fruit to the test and try out the popular Cranberry Cooler, now available in a 2L pack. 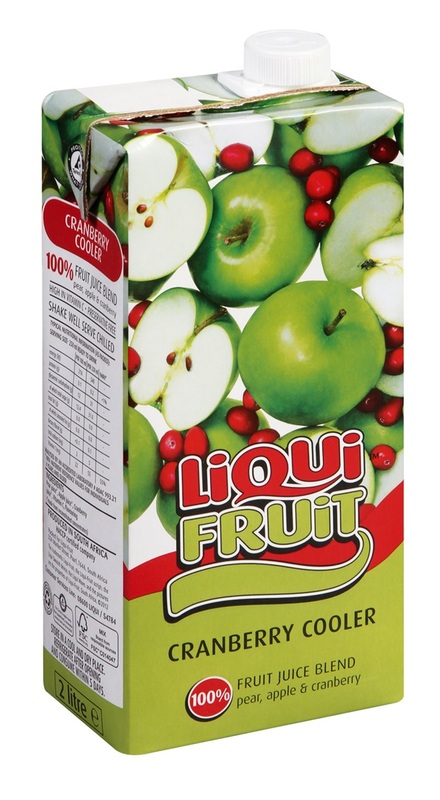 The refreshing 100% cranberry, pear and apple fruit juice blend packs a punch with all the benefits of cranberries, known for their potent antioxidant properties and vitamin C. For more information on Liqui-Fruit, visit www.facebook.com/LiquiFruit or follow @Liqui_Fruit.